SO WHO IS IN THIS NATIONAL SCHOOL PICTURE FROM 1954? HERE’S a real blast from the past. 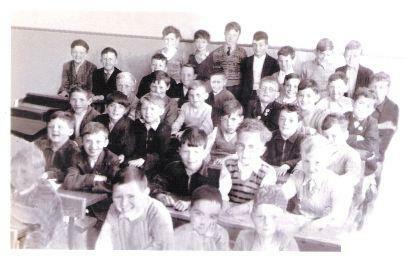 A classroom full of children at Bundoran National School some time around 1954. If you can, send us details to info@donegaldaily.com so that we can complete the picture. * PIC Courtesy of Ann Loughlin. DO YOU HAVE OLD PIX YOU WANT TO SHARE?